Theories: Who Leaked the Mueller Questions? 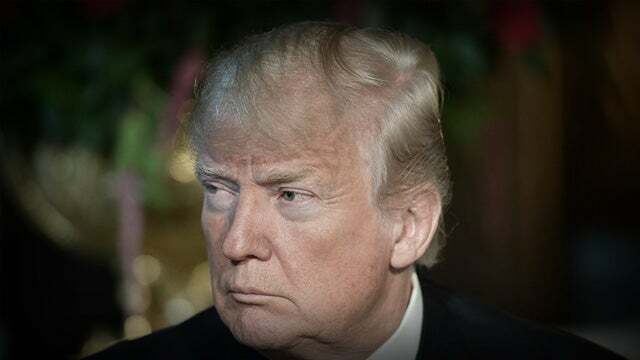 RUSH: So there is now a full list of questions, a big, big, big number of questions that the special counsel, Robert Mueller, wants to ask Donald Trump during a sit-down. 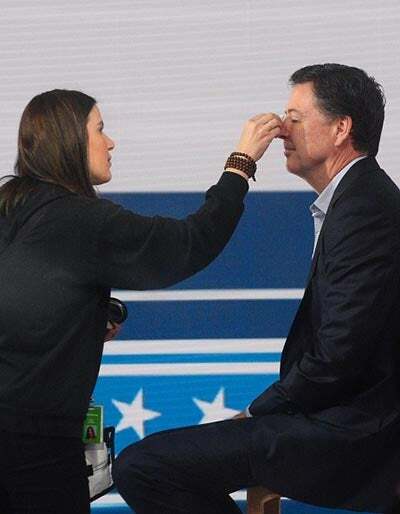 James Comey at a paid book signing appearance last night said that he would want Trump to sit down with no time limit and that Trump ought to do it. Are you kidding me? That’s actually reportedly a probative question. What did you think when you heard that I was gonna be hired to destroy you? What did you think when you found out that I was named by your own administration to come in and get you out of this town? What did you do? What did you think? These questions are also — I don’t think they’re verbatim. They are too general and overbroad, like this, “What did you think and do when you heard that a special counsel was going to be appointed to essentially nullify your –” I mean, that’s really what the question is. What did you think, what did you do. And anybody would be a fool to start answering that. Anybody would be a fool to answer any of these questions. I’ll go through what some of them are here in a moment. Now, the best guess thinking is that this whole story has actually been leaked by the Trump team. And the primary reason for the leak is to try to convince the president to get rid of this silly idea that there’s anything to gain by sitting down and talking to Mueller. Now, if that best guess is true, the New York Times says that leak comes from somebody outside Trump’s legal team. Now, that’s a very specific identification. “What efforts were made to reach out to Mr. Flynn about seeking immunity or possible pardon,” Mr. Mueller planned to ask. I’m reading to you from the Times here. What efforts were made to reach tout to Mr. Flynn about seeking immunity or a possible pardon, Mr. Mueller plans to ask, according to questions read by the special counsel investigators to the president’s lawyers, who then compiled the questions into a list. That document was provided to the New York Times by a person outside Mr. Trump’s legal team. So that exonerates all the current lawyers on the team, but it opens up the possibility of former lawyers on the team. Now, there’s many schools of thought on leaking this. One school of thought is that this list of questions will assist Trump in demonstrating to the American people that Mueller doesn’t have anything, isn’t close to getting anything, and is just really throwing every line he’s got into the water and seeing if something bites. Another school of thought says, “No, no. Don’t look at it that way. The way to look at this is that Mueller is not going away ’til he gets Trump. And everything is still wide open. Mueller is still looking at collusion. Mueller is still looking at obstruction. Mueller is looking at Trump’s business before he became president. This is a bad sign for the president,” says this version, says this opinion of the leak. And Trump should take no comfort from this whatsoever. Other people say this is great. This is gonna show the American people what an overbroad fishing expedition this is. And if all of these questions remain unanswered, then what does Mueller have? And the conclusion would be Mueller doesn’t have anything. We’ve had Rod Rosenstein, who’s publicly said that he’s told Trump that Trump is not a target, parentheses, yet. That he’s only a subject. But of course a subject can be converted to a target. These questions, some would say, are designed to make a subject become a target based on the way they are answered. Trump was out very quickly with tweets referring to the fact that this was evidence of a witch hunt, that there’s no even acknowledgment of any crime in these questions, specifically collusion isn’t mentioned, the president tweets, only possible obstruction. So it’s still open-ended as to what all of this really means. In other words, Zeldin thinks these are not really Mueller questions. That in the negotiations between Trump’s lawyer and Mueller over a potential Trump sit-down, Mueller has given broad areas of his interests to the lawyer. “Yeah, like to ask Trump about X and I’d like to ask Trump about Y,” and then Zeldin says that Trump’s lawyers then went and created the questions based on the generic interests that were expressed by Mueller. Now, just so you know who Zeldin is, he “worked as special counsel to Mueller in the early 1990s, when he served as the assistant attorney general of the Justice Department’s Criminal Division.” Want to hear some of these questions? One question directly asks Trump about Russian meddling in the 2016 presidential election. “During the campaign, what did you know about Russian hacking, Russian use of social media, or other acts aimed at the campaign?” That’s one of the questions. Another question: “What knowledge did you have of any outreach by your campaign, including by Paul Manafort, to Russia about potential assistance to the campaign?” Now, you can imagine that the Drive-Bys have zeroed in on that one because Manafort is now under indictment. So the Drive-Bys think that question means that Manafort’s crimes are not specifically tied to things he did long before the Trump campaign, that this specific question links Manafort to the collusion. 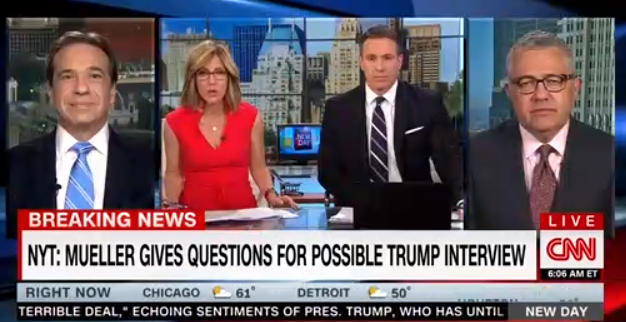 And they’re orgasming at CNN today because of this particular question. Again, “What knowledge did you have of any outreach by your campaign, including by Paul Manafort, to Russia about potential assistance to the campaign?” Now, it says here at the New York Post, “It’s not clear whether Mueller has evidence that Manafort or any other Trump official coordinated with Russia. 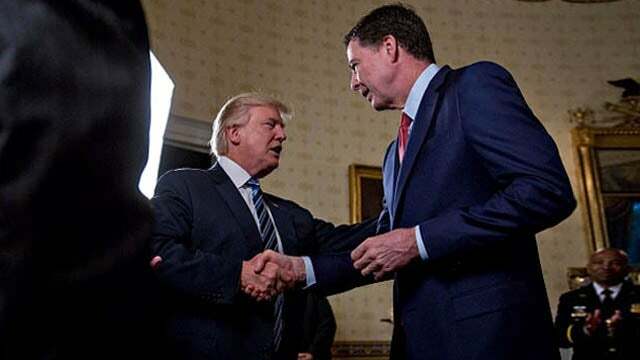 Trump has repeatedly denied any collusion.” Concerning James Comey, Mueller wants to know about the times Trump met privately with him and why he fired him. Now, Trump is perfectly within his constitutional rights to fire Comey, and he doesn’t have to offer anybody an excuse or a reason. He can fire Comey ’cause he doesn’t like how tall he is. He can fire Comey ’cause his hands are too big. He can fire Comey ’cause he thinks Comey’s ties are too short. He can fire Comey for anything. But Mueller wants to know why he did it, and if the question’s legit, then this is an entrapment question about trying to get Trump to open up about what he really thinks of Comey, why he got rid of him, and thereby spell out what Trump was really trying to do is hide things. “He was afraid Comey was gonna…” I can predict what the purpose of these questions is, but I don’t know. There’s something about this that’s still… It’s a trap, obviously, but some of this just does not meet the smell test to me, and I can’t specify for you right now what it is. But I’ve noticed how everybody is not even questioning whether Mueller actually is the source of these questions or the information that became these questions. They’re just running with it. It was in the New York Times. Everybody’s treating this as factual. “There’s no question this is real; there’s no question it’s serious.” It just all seems… You know when everybody gets on a bandwagon, when everyone starts signing up to the identical conventional wisdom, that’s when my radar goes up. Red flags. Something about this — and I’m sorry, I can’t specify it. I can’t even specify what it is about this that bothers me. I don’t know that I’m… It could be the whole thing, half legitimate, half fake. Don’t know. I’ve just never seen anything like this. We’ve had special counsels and independent counsels my whole life, and I have never, ever seen anything like this happen during any of these investigations. I have never seen this kind of detailed, in-depth uncovering of what the special counsel is thinking, doing, wants to know, these kinds of things. It’s just that you never see it, and here pretty much everything that Mueller could possibly be interested in has shown up now in the New York Times. And Trump is tweeting about it almost immediately. I wouldn’t be surprised if the Trump team did find a way to get this out. Because, in their view, it probably (they think) helps their circumstance, if their circumstance is to keep Trump from talking to Mueller. That’d be the biggest mistake Trump could make during all of this is to sit down and have that conversation. And if we’re to believe the reporting, the reporting is that everybody on Trump’s team is telling him not to do it and he’s ignoring everybody and is hell-bent on doing it. And so this is a Hail Mary attempt to try to get Trump to realize the suicide pact he would be signing if he sat down and started taking these questions and trying to answer them. And of all of the possibilities, that seems to me to be the one that makes the most sense. But I still have something gnawing at me that this is not really what it is. And, you know, I probably shouldn’t say that because I’m not prepared to tell you what I think it is. I’m just sharing with you a gut reaction that something here is not adding up, doesn’t make sense. The Drive-Bys are too happy about it. And we know how much literal garbage and drivel has shown up in the New York Times during the entire course of this investigation, and we know how much has shown up that has no basis in fact whatsoever. No truth, no facts whatsoever. So now we’re told all of a sudden somebody got hold of everything Mueller wants to know about? Everybody got hold of it, somebody did, and here it is, and now we know everything Mueller’s scope of interest entails? “Mueller also reportedly wants to ask Trump about his statements about Comey and Andrew McCabe. ‘What is the reason for your continued criticism of Mr. Comey and his former deputy, Andrew McCabe?’ one question…” Are you kidding? This is actually something Mueller wants to know: Why are you continuing to criticize Comey? Why do you keep criticizing Comey? Why do you keep saying mean things about my buddy? 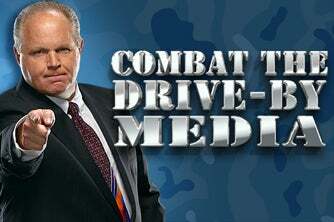 RUSH: I have the entire list of questions here, and I’m not gonna go through all of them. But many of them do deal with asking the president what he thought, what he thinks, why he continues to say and why he continues to think various things. “What was your reaction to Comey when you met alone regarding the Steele dossier? What was your reaction to Comey? What was discussed regarding ancillary reports?” This is an attempt to get Trump. I mean, these questions are just… They’re questions for a sap. I mean, nobody in their right mind would ever try, even if this was just a reporter doing a news story. Forget that this is a lawyer that could put you in jail for lying to him by simply forgetting. ‘Cause once Trump sits down for this and Mueller starts asking these questions, he’s gonna ask for another sit and he’s gonna ask the questions all over again. He’s gonna start comparing Trump’s answers. That’s where you get a process crime of lying to investigators, if Trump forgets what he said to Mueller the first time and says a different version the second time the question comes around. So it’s basically Andy thinks that what Mueller is setting up here is a very extensive report essentially asserting that Donald Trump is a disaster when it comes to presidential judgment and qualifications and so forth. That would be absent any hard finding of criminal activity. RUSH: So I checked the email during the break. Somebody wants to know if there are any circumstances under which I would suggest to President Trump that he go ahead and sit down for an interview with Mueller. And, yeah, I can think of some things that if I were Trump’s lawyers I would demand. I would demand to testify but not under oath, like Mrs. Clinton. I would demand an exoneration letter before I sat down like Comey gave Hillary. And then I would demand an exoneration letter after the interview. And then I would demand that a bunch of my assistants and aides be allowed to sit in on the interview. And I want to be able to call them lawyers so that I have attorney-client privilege with them so that nothing can happen to them. And then I want it stipulated at the end of the interview — like it was with James Comey and Hillary Clinton — that whatever went on here, there’s nothing to it ’cause I didn’t intend to do anything wrong. If Trump could secure the same identical circumstances that were granted to Hillary Clinton, then why not sit down for the interview and answer the questions? But of course, I speak facetiously because everybody knows that Donald Trump is not gonna get the Hillary Clinton treatment extended by James Comey. And can you imagine if he did? Can you imagine the American left and the media if Trump got the same treatment Hillary did? “Okay. Mr. President, we’re not gonna have you under oath. We’re gonna interview you, by the way, two days before we issue our report.” That’s another thing. “We’re gonna issue our report on Monday, and we’re gonna interview you on Saturday, and only for three hours. If Trump were afforded or extended all of those privileges, as Hillary was, can you imagine what CNN and the Drive-By Media would do with it? Let me just give you a couple more examples of questions here and even though we’ll move on to other things. If you want to weigh in on this, feel free. Have at it when we get to the phones. There are four here at the very tail end of this list. I don’t know if these questions, as I have them, are in any chronological order or not, but they are the last four. “What knowledge did you have of any outreach by members or former members of your campaign, including by Paul Manafort, to Russia about potential assistance to the campaign? These questions come right out of the media, folks. Try this one: “What knowledge did you know during the transition about an attempt to establish back-channel communications to Russia, and efforts by Jared Kushner regarding the same?” Now, folks, there wasn’t any attempt to establish back-channel communications. If Trump had colluded, there already would have been back-channel communications! If Trump is Russia colluded to steal the election, they would have already had numerous back-channel communications. And this is a question about Jared Kushner trying to establish one during the transition, which is after the election? This is straight out of the New York Times and CNN. If this is legit, this is Mueller reading the news and coming up with questions about what appears in the news. Now, Mueller may have leaked a bunch of that stuff, his office. But this is all about the honey pot Russian lawyer, Veselnitskaya, who came into Trump Tower supposedly with dirt on Hillary. “What do you know about a Ukrainian peace proposal provided to Mr. [Michael] Cohen in 2017?” Straight out of the news media. But these questions are huge, gigantic traps. Because if Mueller’s asking ’em, none of ’em are illegitimate. No matter how extraneous, off topic, off subject they appear to be, they are, at the very least they are traps to ensnare people in process crimes. And they go way beyond any original reason for Mueller being hired to begin this work, the so-called collusion and so forth. So we’ll see how it unfolds. You know, I’ve equated this to an educational moment for me when I first started this program. When I first started, I had no experience being interviewed by the media. Maybe a little in Sacramento, but it was nothing that was truly intended to be injurious to me. So I had no experience with it. And when the show begins and it takes off… I mean, in the first six months to a year, we’re just adding stations left and right, and it is… I mean, everybody’s talking about it. It’s the biggest news in the world. The media’s calling. I remember a particular interview in Los Angeles, a reporter from the Los Angeles Times who wanted to talk to me before I had a Rush to Excellence appearance out there, and I made the silly mistake. It was an honest mistake; I didn’t know any better. I made the silly mistake of assuming this reporter really wanted to know who I was, really wanted to know why my program was succeeding, and really wanted to know what I thought about things. And this reporter could not have cared less. The reporter had already made up her mind about me, and it was not good. Her story was already written, and there was nothing I could do, nothing I could have done that would have changed her mind. I didn’t know that. I really… I was so stupid and naive, I thought these people were genuinely interested in something that was brand-new, that nobody could explain, that didn’t exist before, and they wanted to try to understand where it was happening. That was not at all what she was interested in. Her purpose was to marginalize me and categorize me as an extremist radical on the right and that my audience was a bunch of hayseed, hick kooks and all. And every other story about this. I learned that the last thing any of these media interviews was really about was the reporter learning anything or becoming informed. It was not because they were genuinely curious. They were resentful, and I and my program were something they had to try to damage. And that’s exactly what Mueller would be doing in a sit-down with Trump. Mueller’s not interested in Trump’s version of the truth. Mueller thinks he already knows it. Mueller doesn’t care what Trump’s successes are. He doesn’t care about any of that. There’s nothing Trump could do to change Mueller’s mind. Whatever Mueller thinks now, there’s nothing Trump could do to change his mind, because this whole process is about damaging Trump. And anything Trump might say, any information Trump might have that would change Mueller’s mind, Mueller isn’t gonna hear. He’s not gonna react to it. It’s not the purpose of a sit-down. Mueller doesn’t want to talk to Trump to learn anything. Mueller doesn’t want to talk to Trump to get Trump’s side of things. Mueller doesn’t want to talk to Trump to actually find out what Trump’s thinking. All of this is nothing more than Mueller using his power as special counsel and lawyer to use Trump’s own participation in getting Trump to commit a crime, to admit to one or to commit one while he’s talking to Mueller. That’s all this is. You ever heard of any independent or special counsel, at the end of his investigation, writing a report saying, “After two years of exhaustive investigation and study, we have found nobody who did anything wrong”? Do you ever remember that? No, because it hasn’t happened. After two years or however long it’s gonna be and however many lawyers he’s got helping him, after however much money, the last thing that’s gonna happen is anybody get exonerated here. Why leak these, why make them public if the purpose is to persuade Trump to stay away? You wouldn’t have to leak ’em unless there is some advantage these people might think in public pressure on Trump, Trump supporters seeing this and also joining the chorus of saying that Trump should not sit down.